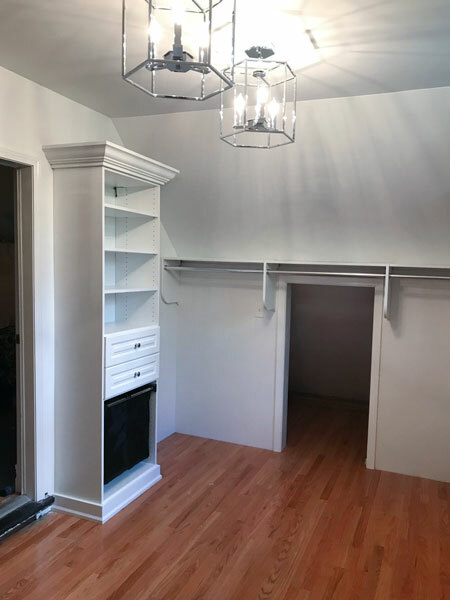 Sloped ceilings present the challenge of creating a custom closet that will not only make complete functional use of the room, but a beautiful design that will flatter the entire space. 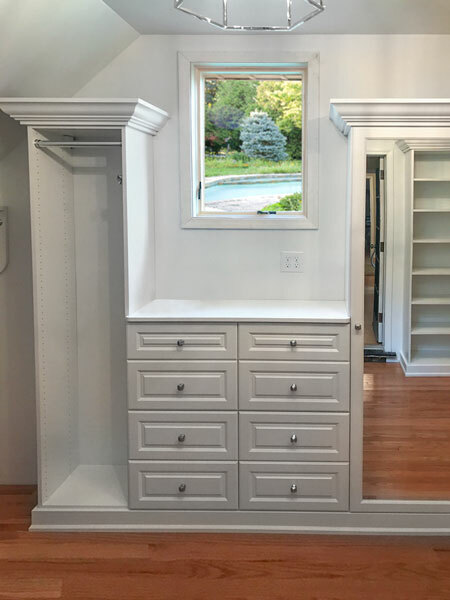 This timeless design captures the geometry of the room and utilizes each angle to its fullest potential with each of its organizational assets — including hanging rods, separate shelving units, drawer space, and a window hutch. 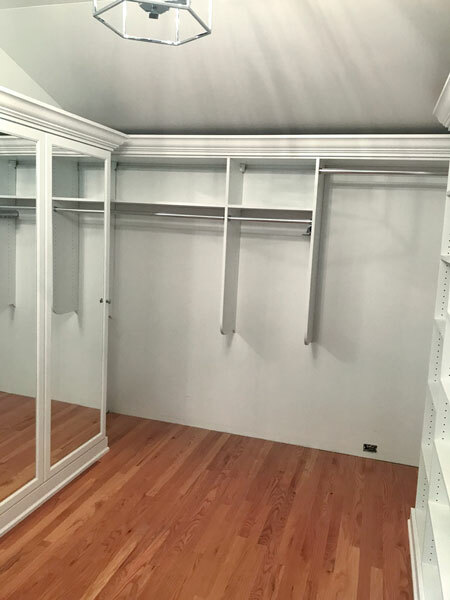 Clothing rods sit below steep slopes offering plenty of space for hanging medium length blouses and pants, and a separate unit by the window uses a taller space to accommodate long dresses. 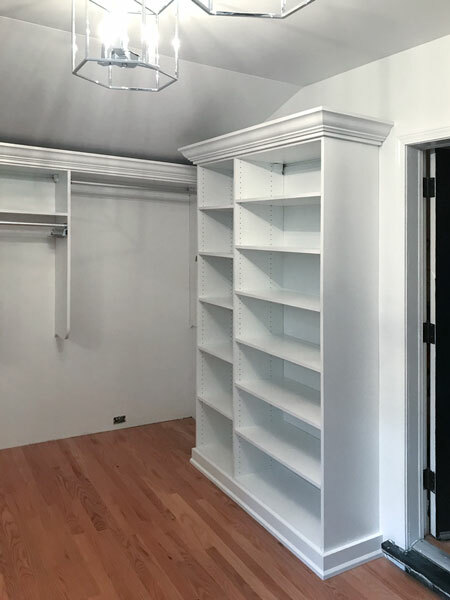 Each shelving unit fits proportionally in the space even leaving overhead storage space for boxes and luggage. 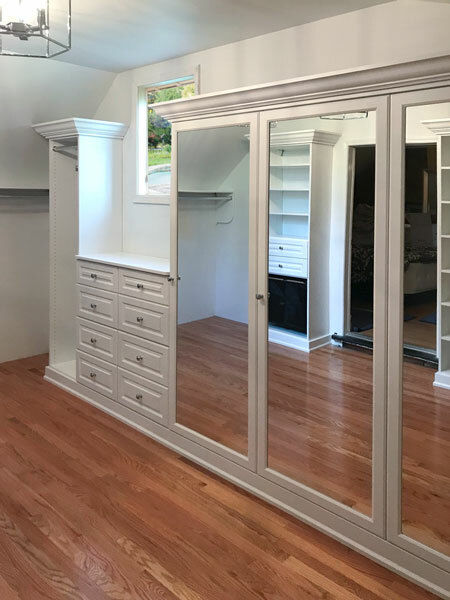 This sloped ceiling closet design uses open frame Harmony cabinet doors with three way mirror inserts, subsequently transforming this from walk in storage into an elegant dressing room.